July 31. 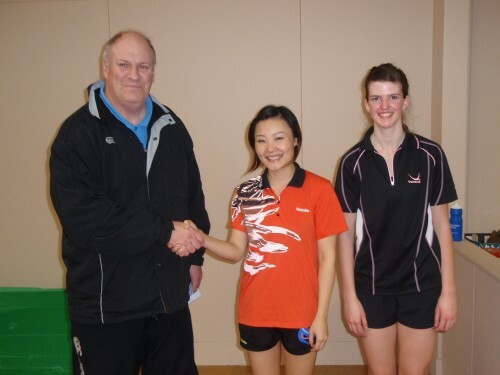 Spectators were treated to an impressive display from Wellington’s Lin Zhou(Catherine Zhou) , beating Manuawatu’s Natalie Paterson in a close seven set encounter. Lin won the first set 11-9, dropping the next two sets 6-11, 7-11. Patterson, a right handed attacking player with strong counter hit and topspin loops and a variety of heavy forehand spin serves had Wellington’s Lin Zhou under a lot of pressure. Lin is a left handed penhold player with a high toss serve , she plays close to the table using short pimple rubber on the forehand and smooth rubber on the reverse side which she sometimes twiddles and uses in combination with her high toss serve. Lin equalised by winning the fourth set 12-10. Patterson won the sixth set and led 6-2 in the seventh set before Lin fought back to equalise at 6 all, before going onto to win 11-8, adding a fourth Wellington Open Women’s singles title to her name. Auckland’s Oliver Scarlett was the winner of the 2010 Wellington Open Men’s Singles title defeating Wellington’s Philip McConnochie 4 sets to one in the final. 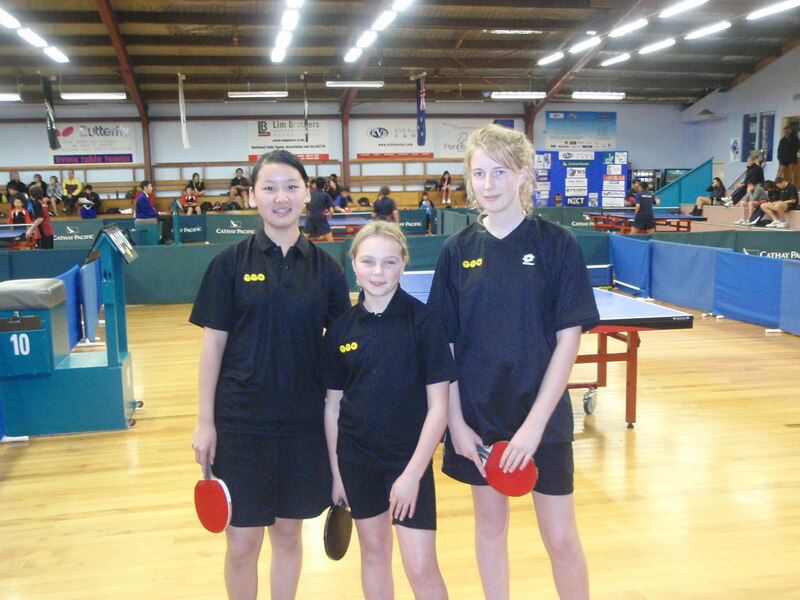 In the quarter finals Scarlett defeated Auckland’s Aaron Gong 11-8,11-8,13-11,12-10. 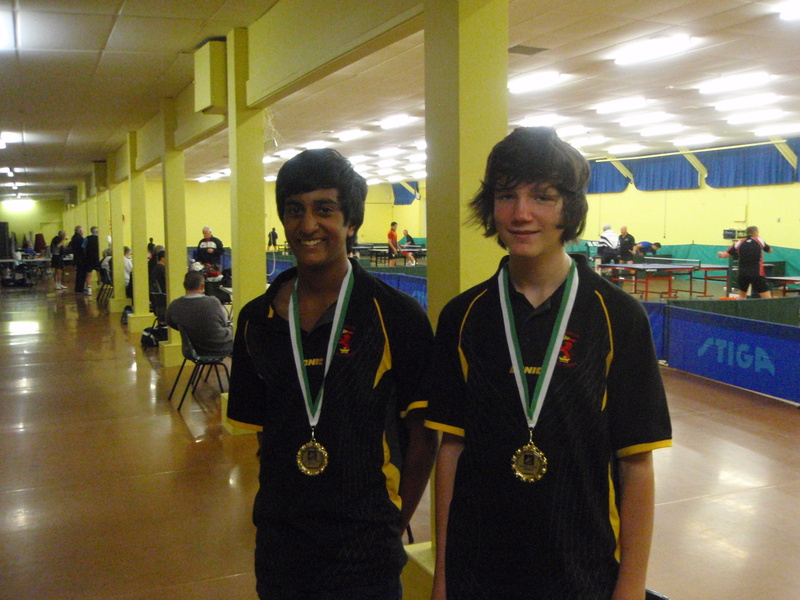 In the semi-final he defeated Waikato’s James Harter 4-2. 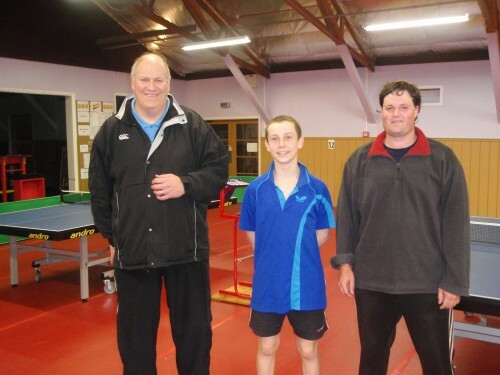 Earlier Harter had defeated North Harbours Mitchell Barker 4-o in the quarter final match. Barker had previously shown good fighting qualities defeating Wellington’s Hayden Tapp 4-3 with Tapp unable to capitalise on a 3-1 lead. In the other side of the draw North Harbours Craig Dye defeated Thom Nyugen 4-2 in one quarter final while Wellingtons in form Philip McConnochie defeated Callum Rusbridge 4-3 before going on to defeat Dye in the semi final. 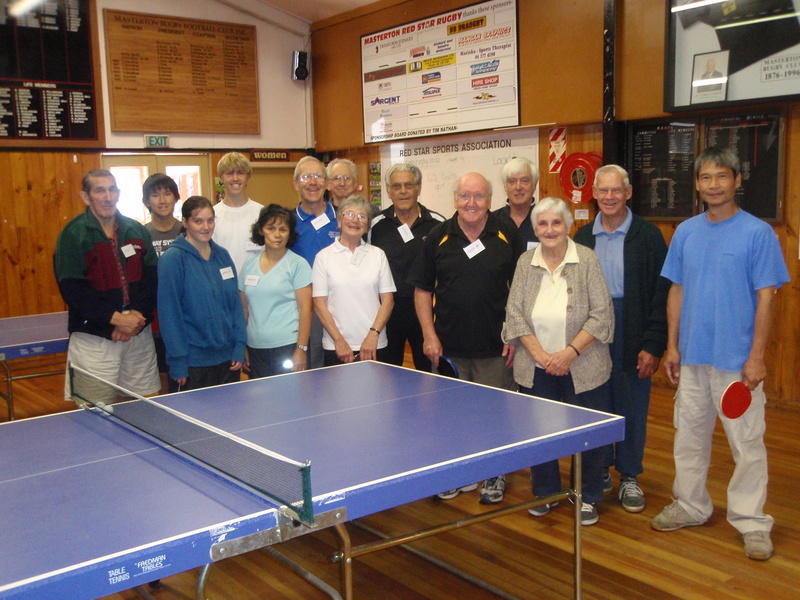 19 people attended the Have-a-go day held on June 20th at the Empire Table Tennis stadium. 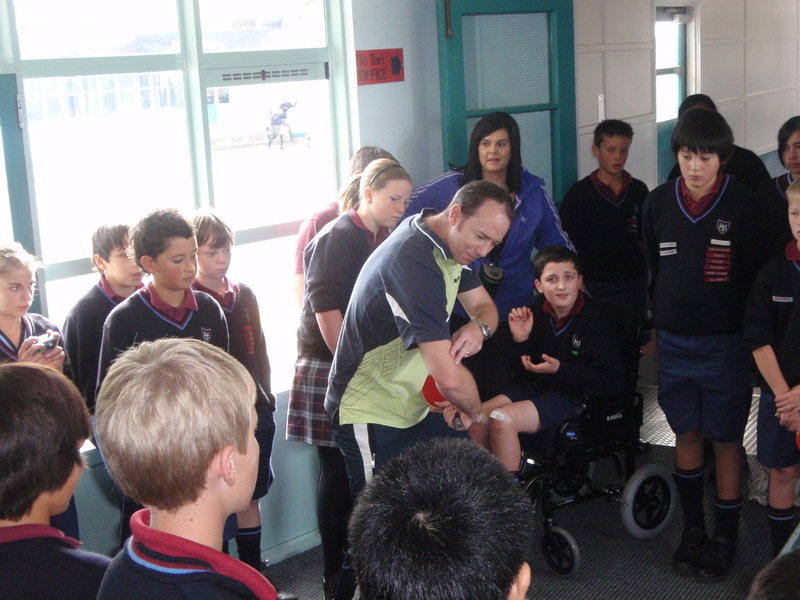 The event was organised by Parafed Wellington sports co-ordinator Michelle Laurenson. TTW was represented at the event with Secretary Stephen Hope setting up and TTW Chairman Bruce Northover assisting throughout the day. 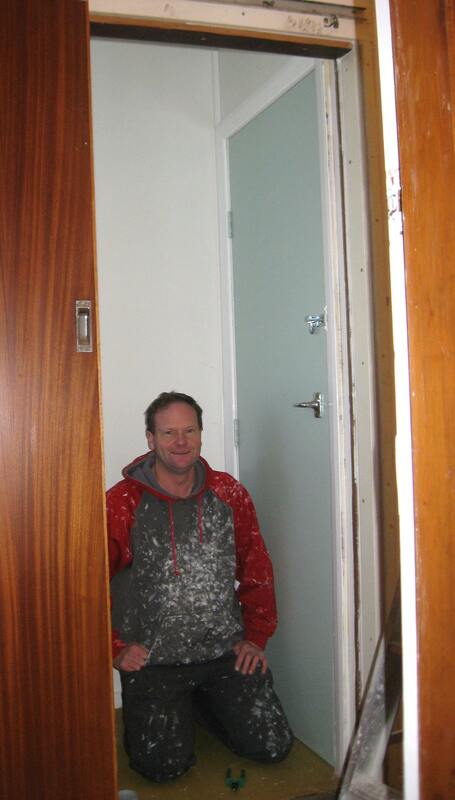 A special thanks to Empire Table Tennis Club Building Convenor John Kane who spent many long hours making the bathroom facilities at Empire wheelchair compliant for this event. There was a strong performance from HIBS first team beating HVHS 2, 7-0. The two Chin brothers Jeoffrey and Garret combing with Josh Baker who is strong in the third slot. They are one of the favourites to win the Premier Grade. Taita 1 lost 7-0 to HVHS 1 which was expected but Taita’s Rueben Reid nearly upset HVHS rep player Matthew Sheppard losing 12-10 in the fifth. Taita 2 had an unexpectedly decisive 7-0 win over HVHS 3 which is a good result for them. 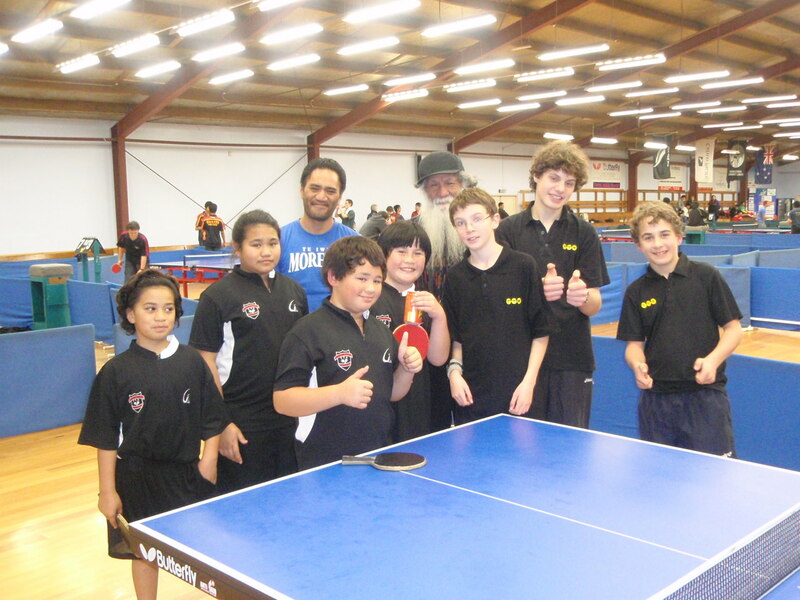 Taita 3 also beat Upper Hutt 2 5-2 so it was a good day for Taita College. 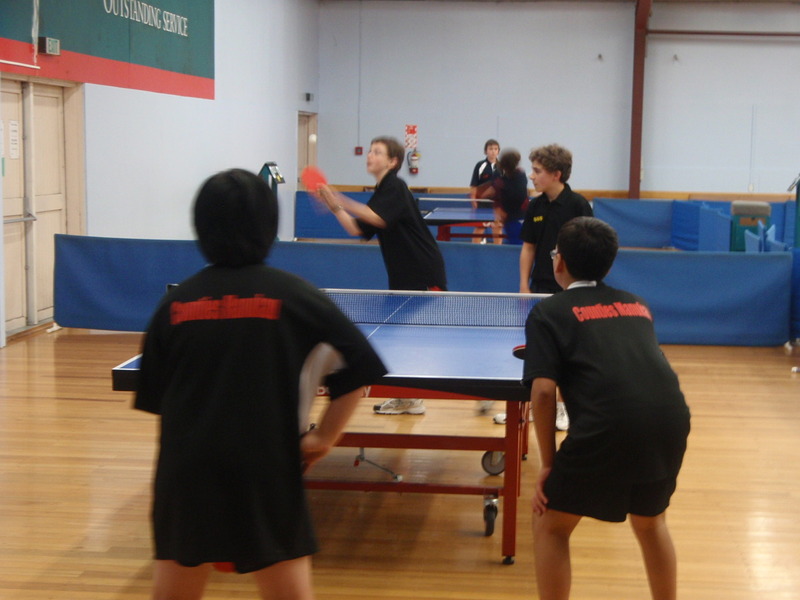 Wellesley School were the Wellington region Intermediate boys champions in 2009 and won the central zone inter primary schools competition earlier this year. Obviously this is not a co-incidence. 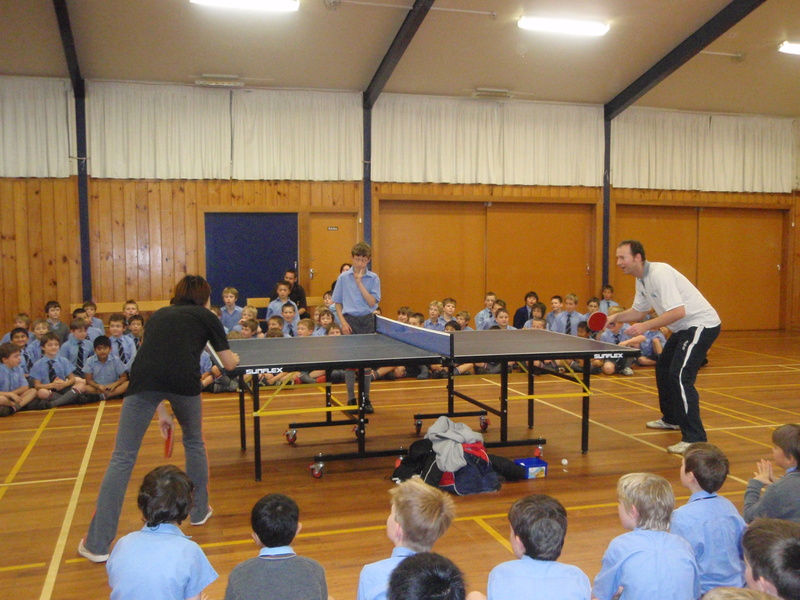 Organised by Mr Darren Houston and Mr Murray Blanford the school are currently half way through a knock out competition. There are a 128 players taking part. 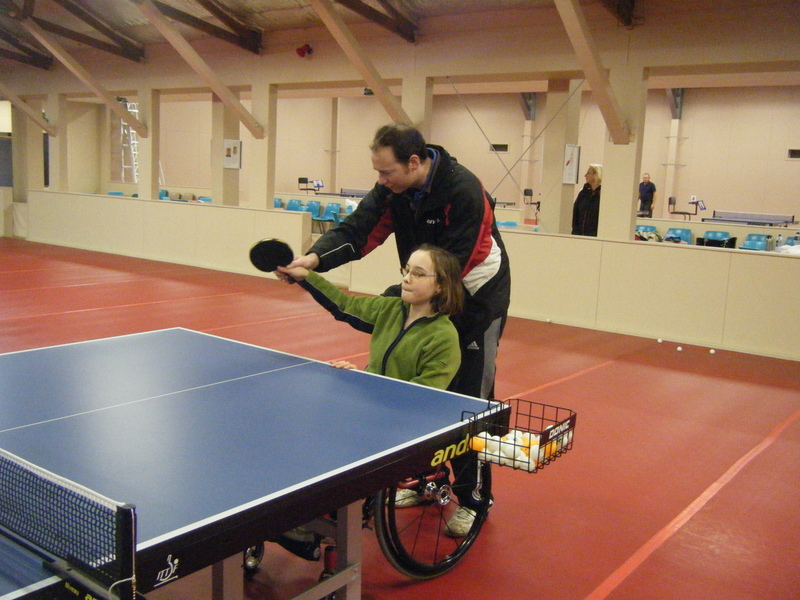 Regular practise sessions take part on the schools three tables. 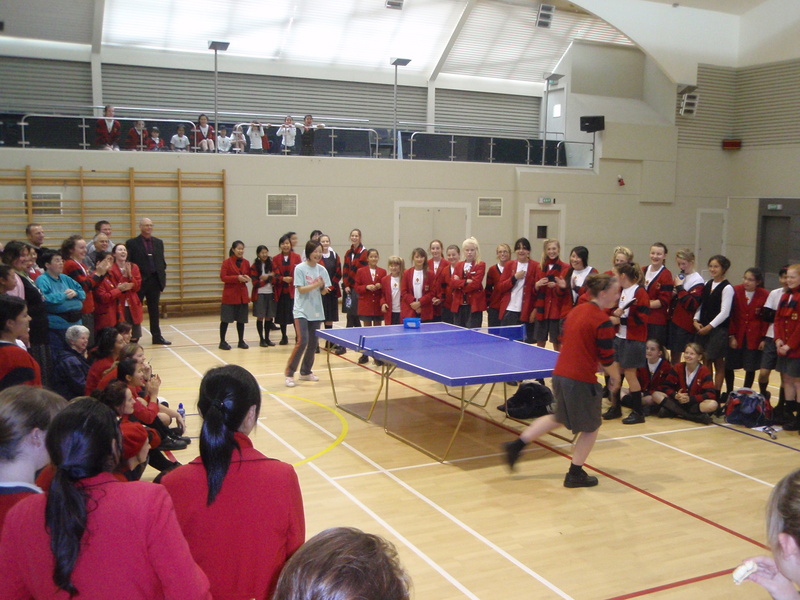 Organised by Mr Darren Houston on Friday 21 May, TTW Coach Andrew Hubbard and former Chinese provincial player Catherine Zhou carried out a demonstration at the school. Plans to return to provide coaching sessions were made and certainly Wellesley will be a school to watch out for again at this years championship . Thursday 20th saw TTW Coach Andrew Hubbard together with Catherine Zhou carry out a demonstration at Chilton St James school. A large number of interested students and teachers gathered in the school gym to watch the demonstration. 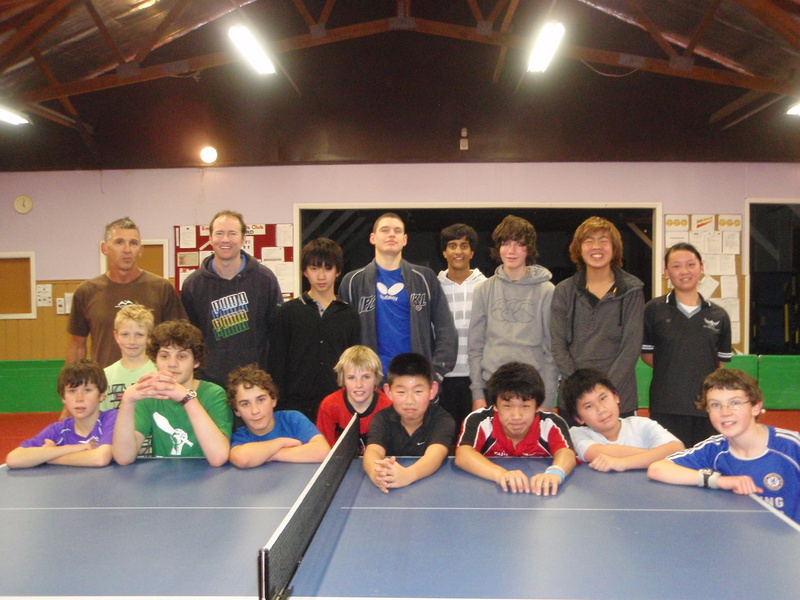 Andrew commented ” My thanks to Head of Sport Ann Fowler for organising this visit. 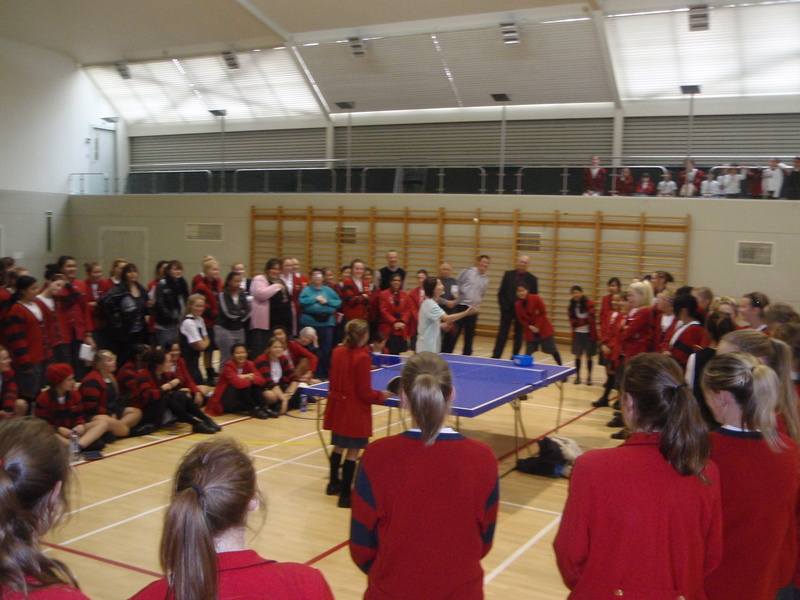 The demonstration went particularly well, the students were very keen and interested to learn more about table tennis. 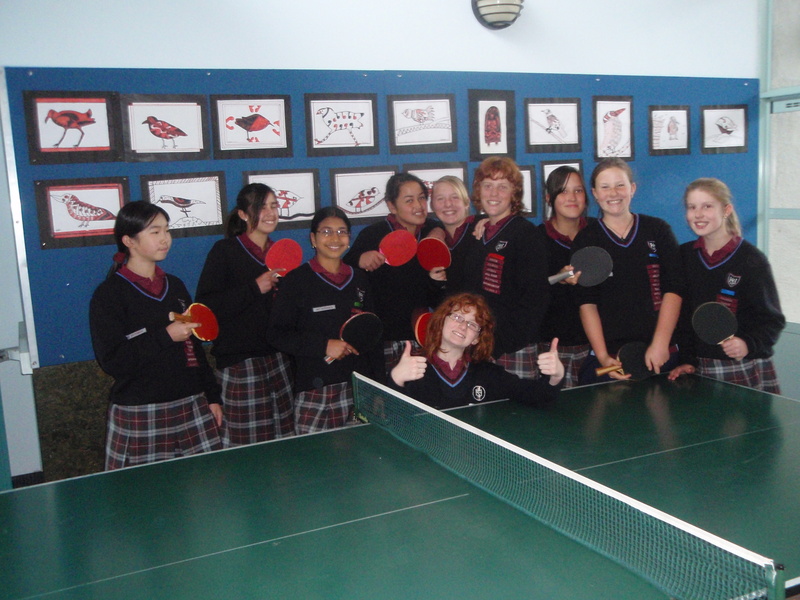 Nearly all of the students came up to have a go at returning Catherine’s high toss serve which they all really enjoyed”. 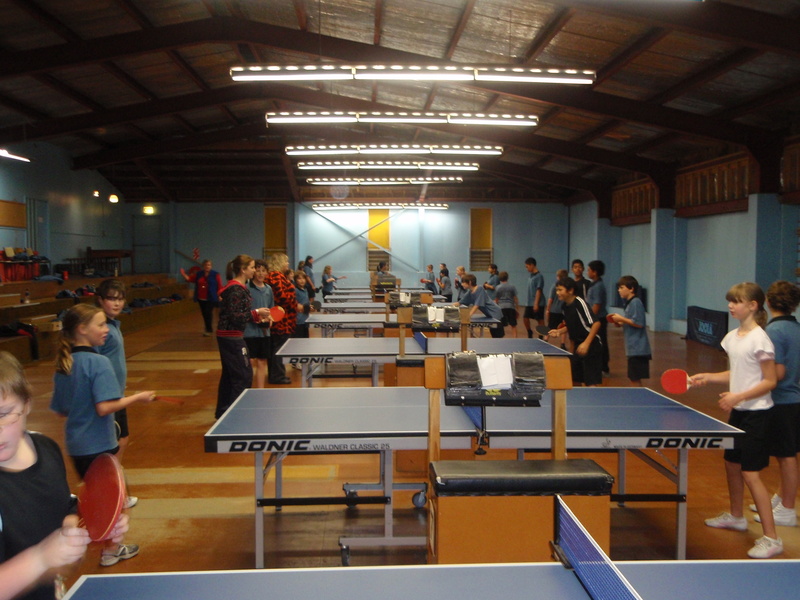 The demonstration ended with a number of students registering to play in the new College Sport Wellington weekly schools competition which will be starting on Wednesday 2 June at the Empire Table Tennis Stadium. 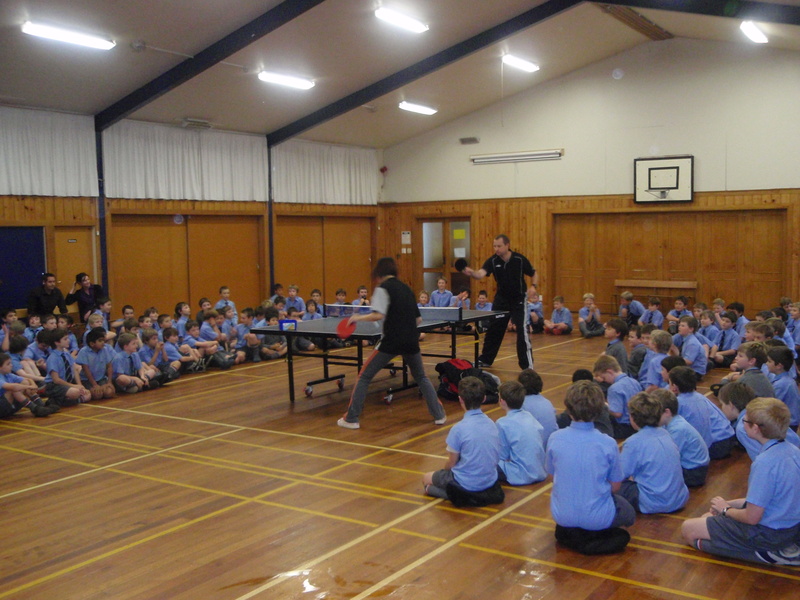 Gracefield Primary School – A great age to start playing table tennis. 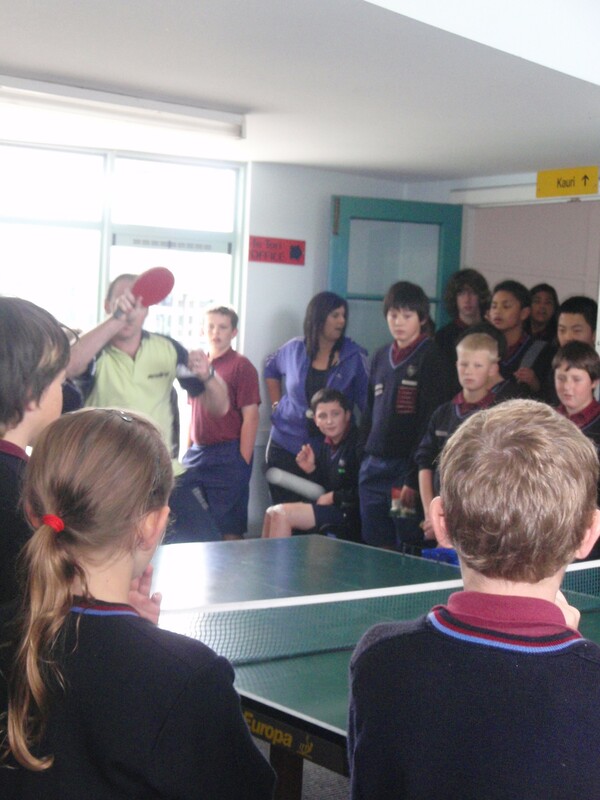 Many Wellington Table Tennis players will remember the name Simon Edmonds, the former nationally ranked player and winner of numerous NZL titles while representing Hutt Valley is now the Principal of Gracefield School. 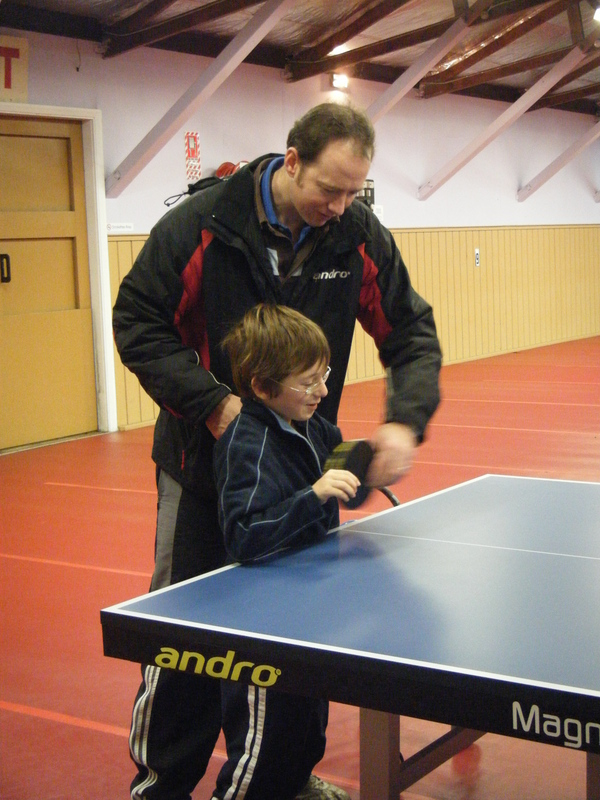 TTW Coach Andrew Hubbard has been carrying out coaching visits to Gracefield school on Friday mornings. 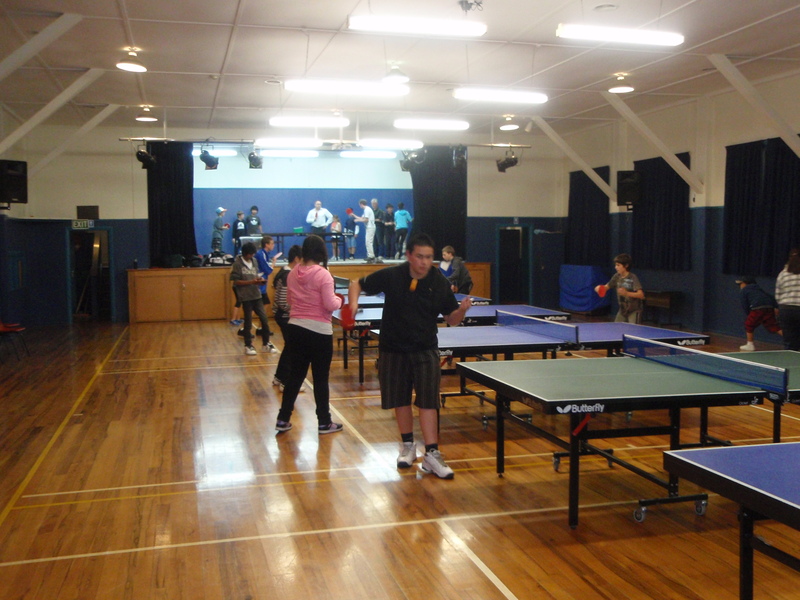 The program will run for seven consecutive weeks with five classes each day learning the basics of table tennis and being encouraged to go the next step and join a club. 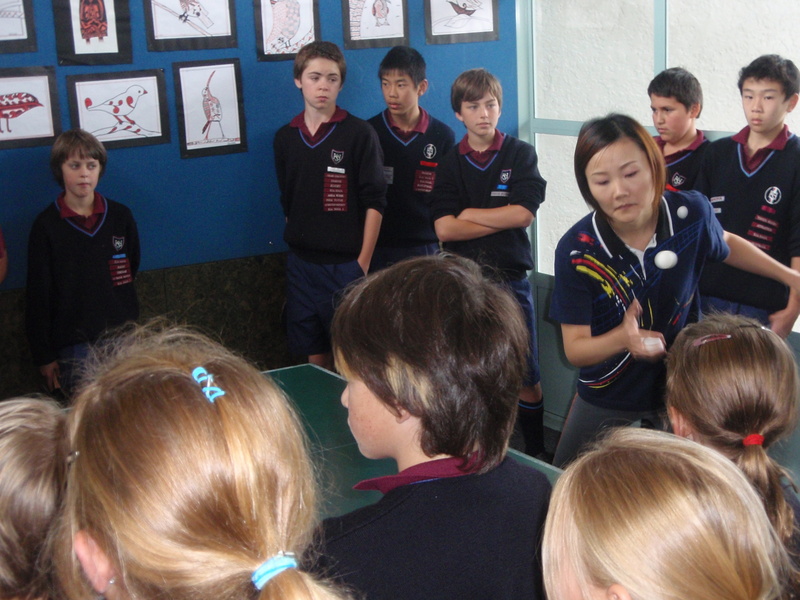 Reading 4 to 5 times may assist to absorb this fasinating insight into Chinese table tennis. 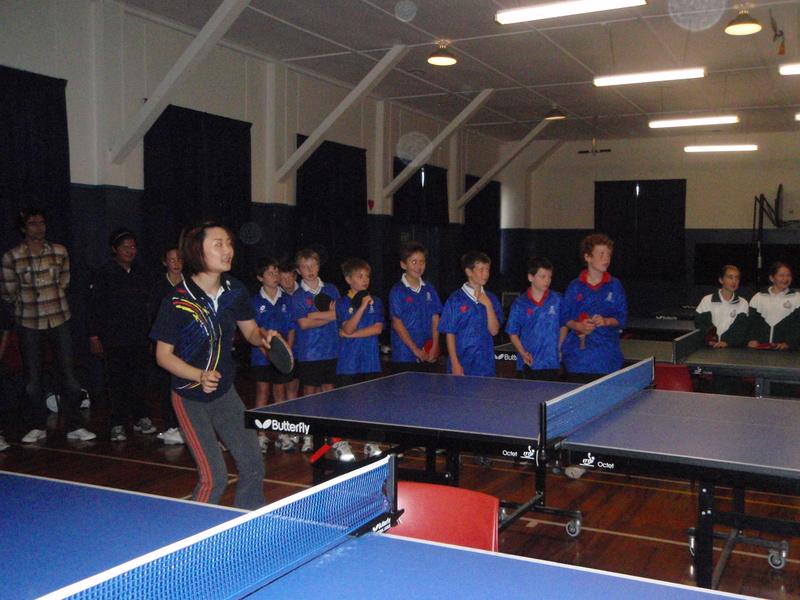 On Wednesday 12th May TTW Coach( and former student at the school )Andrew Hubbard together with former pro Catherine Zhou performed a demonstration at Hutt Intermediate. The visit was organised by Mrs Paula Willis-Love and Mrs Catherine Sawyer, both who are keen to see the sport grow at the school . 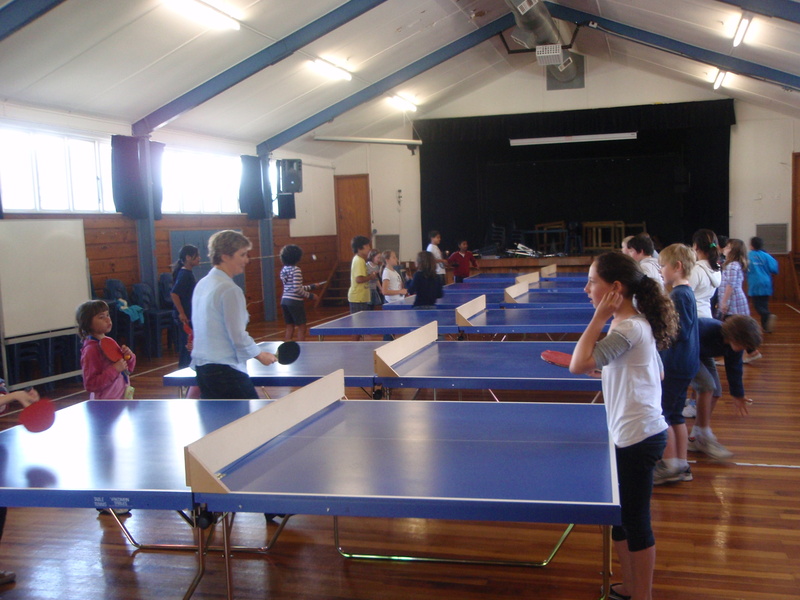 The school have three good quality Butterfly tables permanently set up in the school where students are able to play before school, at breaks and after school. 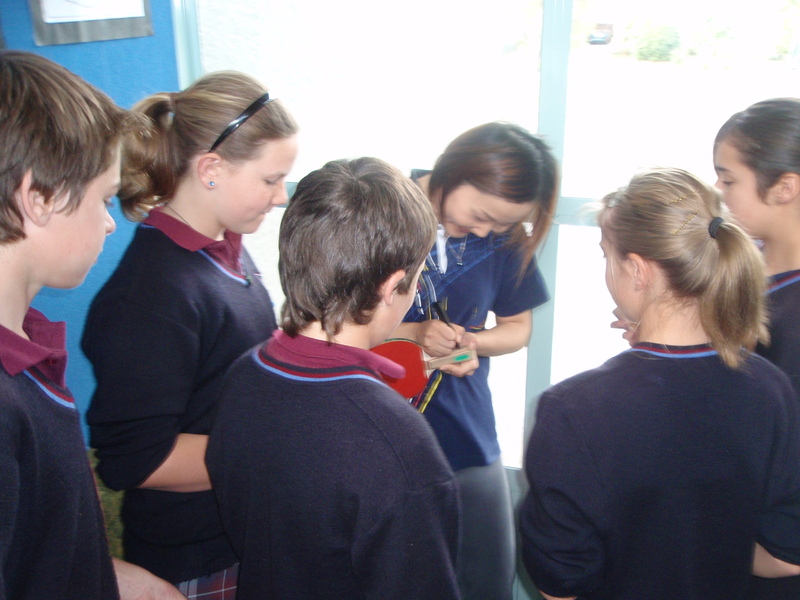 The demonstration attracted a large number of students and as well as the opportunity to try and return Catherine’s service the students were given information about where to go and play in clubs in the Hutt Valley. 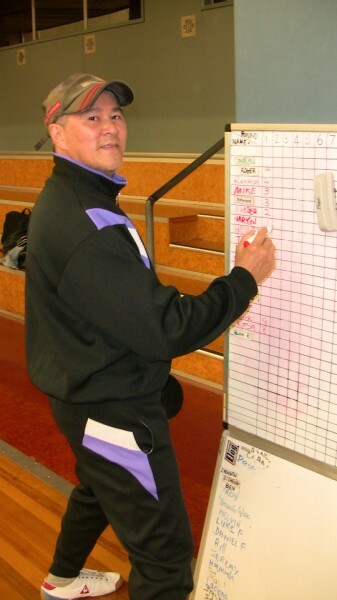 Andrew will be returning weekly to carry out coaching sessions with both the boys and the girls. 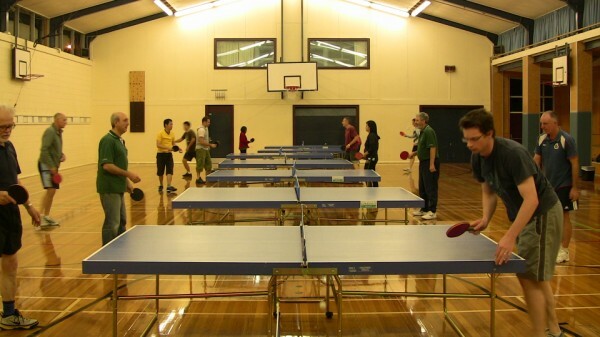 As part of the KiwiSport initiatives, Table Tennis Wellington , as part of a project have been granted some funding support to promote/grow/introduce Table Tennis into Secondary Schools of the region. 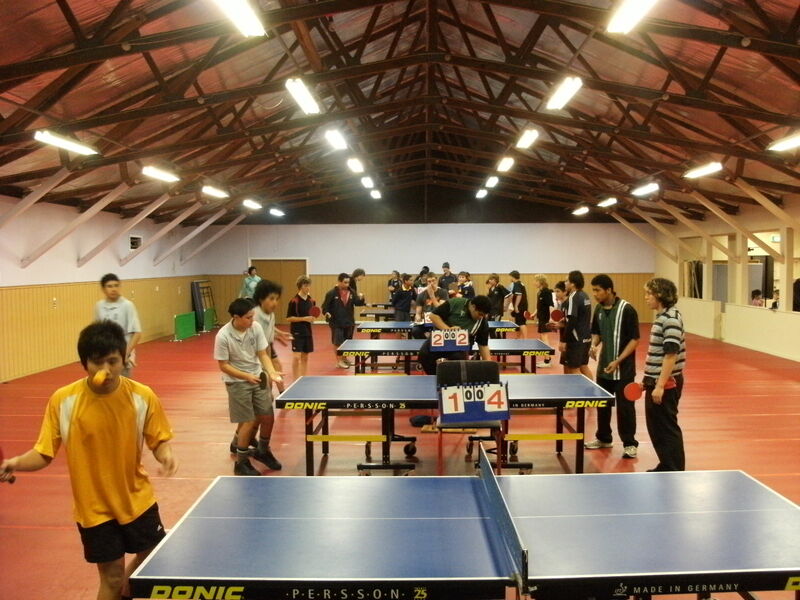 Table Tennis Wellington believe the huge interest shown in the yearly one off College Championships is an indicator that a weekly competition for High School students has the potential to develop into a competition attracting hundreds of participants. 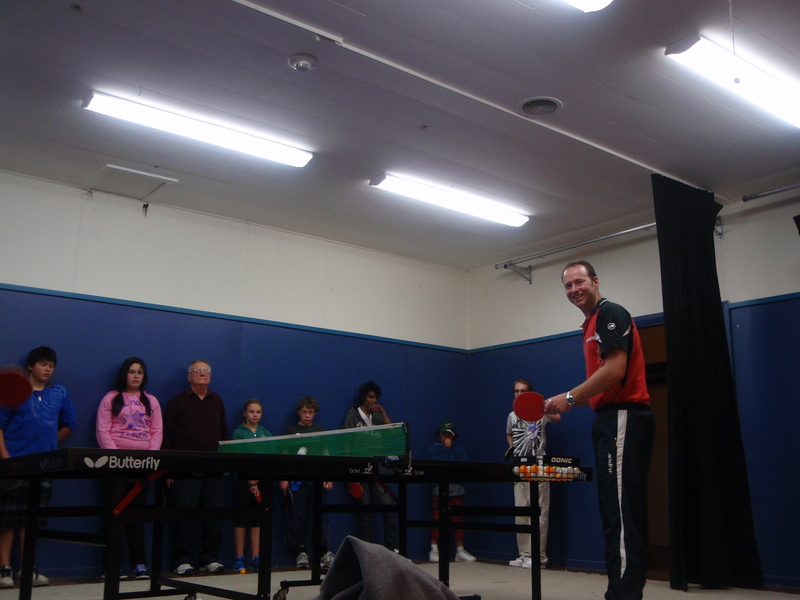 Table Tennis Wellington coach Andrew Hubbard has been charged with driving this programme which will be piloted this term in Hutt Valley Schools and expanding to Wellington & possibly Western Bays Schools in term 3. 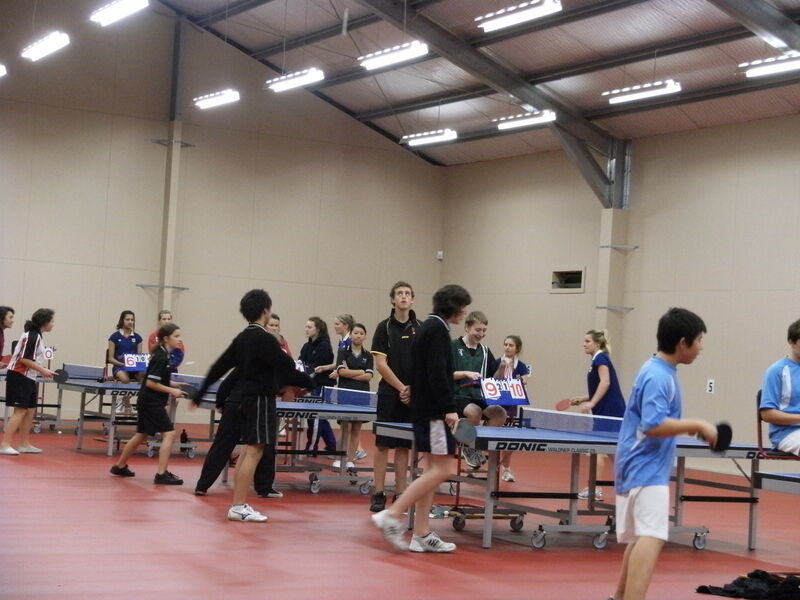 Essentially there are 3 programme components: School Demonstrations, Coaching for students provided at the competition venues and schools and competition commencing Wednesday 26 May [4.00-6.00] at the Empire table tennis Club and running for 6 consecutive week. 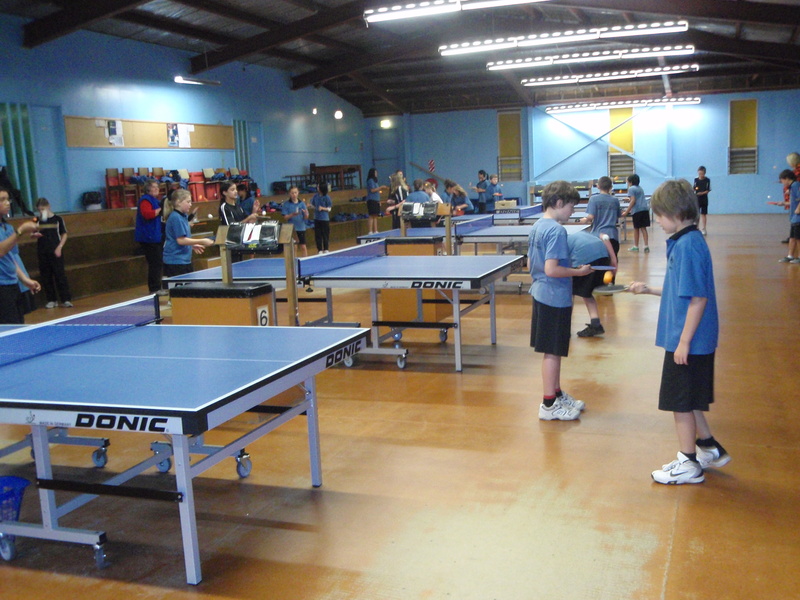 This promo, coaching , competition program format will be replicated in Wellington in Term 3 based at the Wellington Table Tennis Stadium commencing 10 August – 14 September. Inter primary school competition a big success. 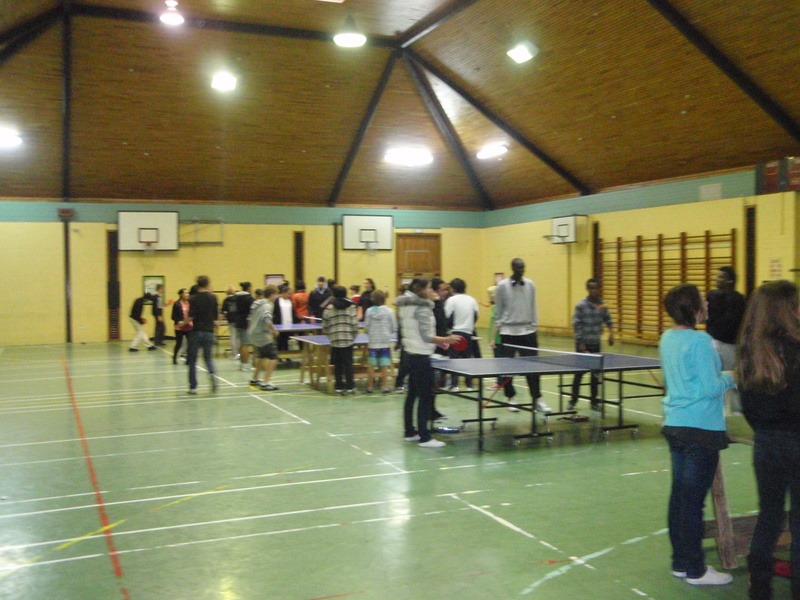 Played at the Waterloo school hall on Wednesday 28th April the annual competion for the central zone primary schools was attended by Wellesley College, Eastern Hutt school, Muratai, Waterloo and Saint’s Peter and Paul school. 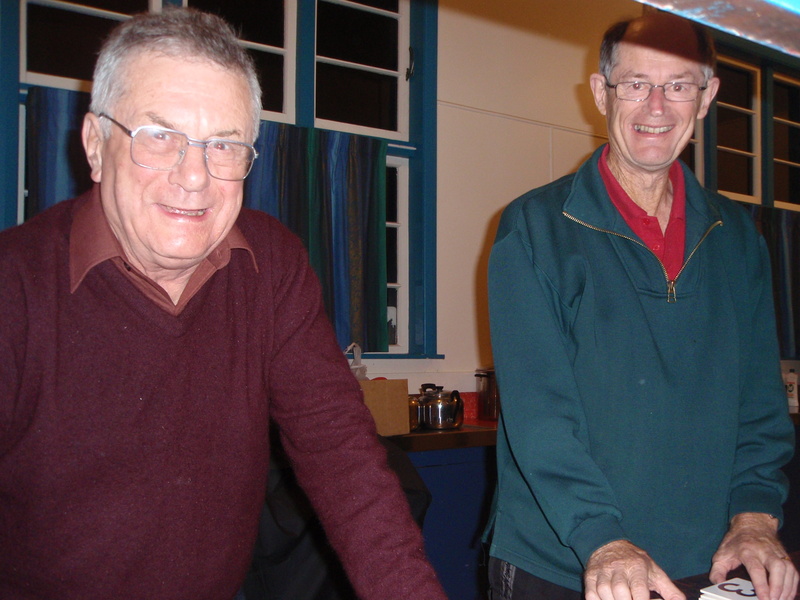 Association stalwarts Alan Costley and Bruce Northover were on hand to make sure all ran smoothly. TTW Coach Andrew Hubbard was on hand and carried out a demonstration along with former Chinese professional Catherine Zhao which was very well received by students and teachers alike. Wellesley captured the boys division and Eastern Hutt the girls.